What is the purpose of the emissions test? To help alleviate this problem, we need to repair the vehicles that exceed national health standards by routinely inspecting them at an inspection facility. You can find your vehicle's due date on the sticker on your windshield. Remember, you won't be reminded by MVC, it is your responsibility have your vehicle inspected when required. Make sure you have all necessary documentation - driver license, registration, and proof of insurance - with you. Photocopy, fax, e-mail or online registration receipts are unacceptable. Vehicles may be inspected up to two months in advance of the due date. Check your windshield sticker for inspection due date. Registrations and inspections do not necessarily have to match. The final stage of the test will assure that your gas cap is present. Upon completion, the inspector will place either a two-year sticker or a one-year sticker on your windshield as appropriate. Note: BMW Series 7 owners must provide accessibility to the vehicle’s On-Board Diagnostic (OBD) computer by removing the cover plate prior to inspection. BMW dealers can complete this task. We apologize for any inconvenience this may cause. 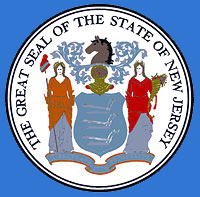 Vehicles purchased without a New Jersey inspection sticker will receive a decal valid until the last day of the month of registration, five years from the vehicle model year. Vehicle owners will receive Form SS-23 at the time of registration. Visit a state-operated inspection station with a valid registration card, NJ insurance ID card, driver license and Form SS-23. In addition, effective August 1, 2010, New Car Dealers will be allowed to issue new vehicle stickers to used non-commercial vehicles less than five (5) model years old. Used vehicles with a valid sticker are not required to be inspected until the month and year of the noted expiration date. Certain classes of New Jersey registered motor vehicles are subject a complete inspection for both mechanical defects and emissions at an official inspection facility or a licensed private inspection facility on an annual (rather than biennial) basis: taxis, limousines, jitneys, buses (passenger, governmental, no fee, or commercial), commercial gas or bi-fueled vehicles regardless of weight and commercial diesel vehicles. Effective January 1, 2009, all new 2009 model year and later passenger vehicles or light duty trucks weighing less than 8,500 lbs. are required to meet California Low Emission Vehicle Program standards. The Manufacturer's Certificate of Origin (MCO) must be marked California emission certified or USEPA 50 state emission certified. MCO’s marked Federal Emission certified or lacking designation require an exemption from the NJ Department of Environmental Protection (NJDEP). You can download a form to request exemption. An approval letter from NJDEP is required for vehicle titling.